Mark Spitz has no qualms about handing over his 36-year title of king of the Olympic pool to Michael Phelps, calling him the best ever. 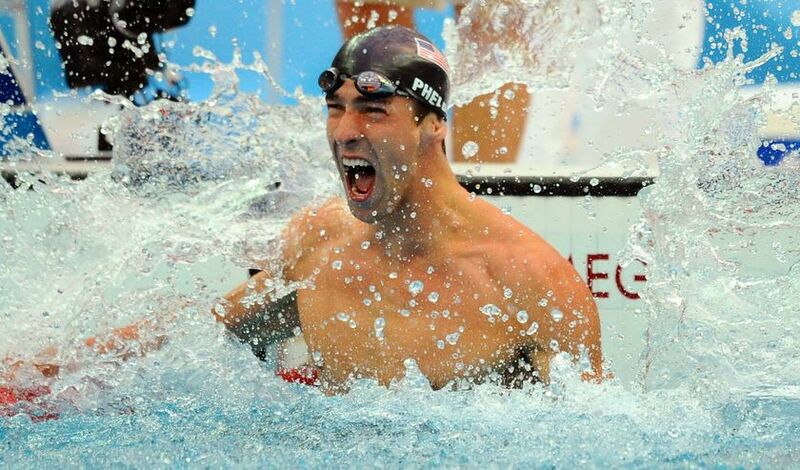 Phelps, 23, on Saturday matched Spitz’s record of winning seven gold medals at one Olympics with a fingertip victory in the men’s 100 metre butterfly final. This not only puts him on a par with Spitz’s record but also gives him a shot at topping that by bagging an eighth gold when he competes in his final event on Sunday, the 4×100 medley relay. “I think that he can be called, Michael, the best Olympian of all time, more so not because he has more gold medals than anybody but in the way he’s handled himself and in the way he’s actually won under a tremendous amount of pressure,” Spitz told United States television network NBC. 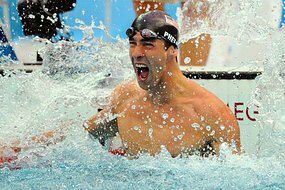 He called Phelps’s performance “epic” and said the Baltimore native represents “an inspiration to youngsters around the world”. As Phelps has bagged gold after gold at Beijing, the world’s media had been hunting for Spitz to get his reaction to the swimmer attacking his record after 36 years. After Saturday’s race Phelps told NBC that he thought he had lost the race that earned him a extra $US1 million from sponsor Speedo, which promised him a bonus if he matched Spitz’s record. “As soon as I took the last half stroke, to be honest, I thought I had lost the race,” he told the US network that bought exclusive broadcasting rights to the August 8-24 Games. By Saturday he had lifted his gold medal tally to 13, which tops the previous record of nine held jointly by Spitz, U.S. sprinter Carl Lewis, Finnish distance runner Paavo Nurmi and Soviet gymnast Larysa Latynina. Abrahamian was upset about a decision in his semi-final loss to eventual gold medal winner Andrea Minguzzi from Italy. His coach, Leo Myllari, seemed to agree that he had been unfairly treated by the judges. “It’s all politics,” Myllari said, though he did not indicate if he was going to file an official protest. Abrahamian participated in the bronze-medal bout, but only after friends pleaded with him. “I decided that I had come this far and didn’t want to let them down, so I wrestled,” said Abrahamian. “This will be my last match. I wanted to take gold, so I consider this Olympics a failure,” the 33-year-old Swede said. Abrahamian won a silver medal back in the 2004 summer olympics in Athens. “Certainly one can always question decisions made in the course of refereeing, but in sports it is appropriate to show sportsmanship and accept the results,” said gold-winner Minguzzi, who was unhappy that his celebration was spoiled.